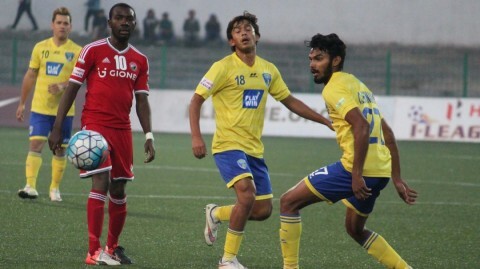 The Northeast club look to create history against the threatening Mariners of Kolkata.. 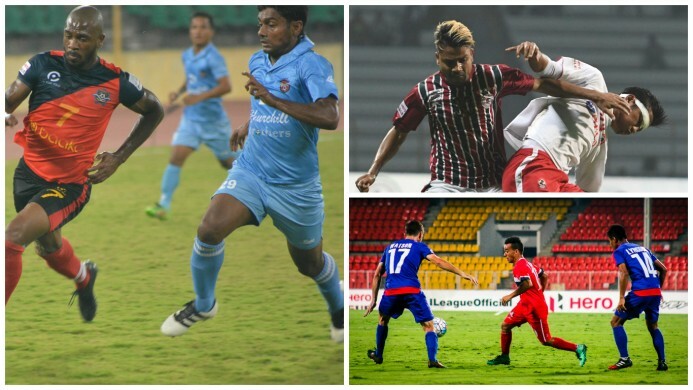 The much-anticipated title decider between Aizawl FC and Mohun Bagan will spearhead the penultimate week of the I-League season. The proverbial underdogs in Aizawl have slipped in their hunt for the illustrious I-League trophy in the past few weeks, but they will look to stop the juggernaut of Mohun Bagan who have peaked at the right time. While the fight at the top of the table is an exciting one, it's also a nail-biting one at the bottom where minnows Minerva Punjab and Mumbai FC are tied on 12 points in the relegation scrap and are only separated by goal difference. Both face tough competitions this weekend and will have to give everything they have in order to be in India's premier football league next season. It's also a competitive race in the middle of the table where teams are trying to attain a respectable spot in the top four. This week will be a decisive one in shaping up the final standings, as the ultimate battle between Aizawl and the Mariners of Kolkata will be the one on which everyone has their eyes glued to. Date & Venue: 22nd April/ Rajiv Gandhi Stadium, Aizawl. Sehnaj Singh will play a key role in thwarting the attacking impetus of Jayesh Rane and Al Amnah. This round will kick-off with the big one when Aizawl FC and Mohun Bagan clash to determine who'll be the one lifting the trophy at the end of the season. Both teams are currently on 33 points and are only separated by goal difference, but that can all change drastically on Saturday. 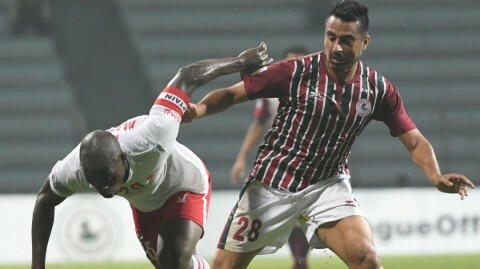 Aizawl have had quite a stunning season so far which was hindered by their recent slip-ups, which allowed Mohun Bagan to capitalise and get to the top. In a packed stadium cheering for them, they'll hope to achieve their dream by defeating The Mariners and opening up a 3-point lead at the top. Mohun Bagan, on the other hand, do not look like ones to slip up. The Mariners rested their core players in the midweek AFC Cup match and look determined to return home with all three points. The Mariners have been a top team playing away from home this season and Sanjoy Sen's men will look to seal the deal on Saturday and bring yet another I-League title to the city of Kolkata. Date & Venue: 22nd April/ Tilak Maidan Stadium, Goa. Churchill Brothers' ambitions of finishing in the upper eschelons of the table this season were crushed when they lost to Aizawl FC on the last matchday, but they'll hope to provide some joy to their supporters in the final home game of their season. Churchill were dominated and quite emphatically beaten by flying Aizawl, but they will try to not let that happen against the struggling Chennai City, who will look to confirm their safety by trying to mince out some points from Churchill. Chennai City themselves didn't get the job done in the match away to Mumbai FC last week, and they'll look to make sure that they're in the I-League next season by taking something from this deterred Churchill side. This could be an exciting match if both teams just go on the attack without thinking about repercussions, as they've both shown glimmers of brilliance in this season and the former will look to cap it off with a win in the last home game of the season. Date & Venue: 22nd April/ Sree Kanteerava Stadium, Bangalore. Bengaluru will look to finish the season on a high. Bengaluru FC are enjoying some fine form recently, as they had quite the memorable week when they not only beat Churchill Brothers away from home but also confirmed their qualification for the next round of the AFC Cup. The Blues might not have had the most productive of seasons in the I-League, but they will look to finish in the top three by defeating DSK Shivajians on Saturday. 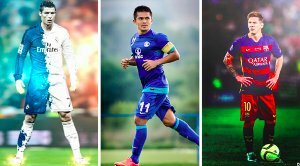 Sunil Chettri and co have shown themselves playing free-flowing football when in the mood and will look to provide some entertainment to their fans who have had to suffer some disappointments this season. DSK Shivajians recorded an impressive away win to East Bengal last weekend, as they crushed the Red and Gold Brigaders hopes of winning the I-League this season and ensured their own safety from relegation. Shivajians have been pretty disappointing this season considering the array of talent in the team, as the lack of a proper management and guidance has really hindered their chances of competing at the top. But Dave Rogers' team will look to continue their impressive form by thwarting the good mood in Bengaluru and recording another superb win against the Mighty Blues. 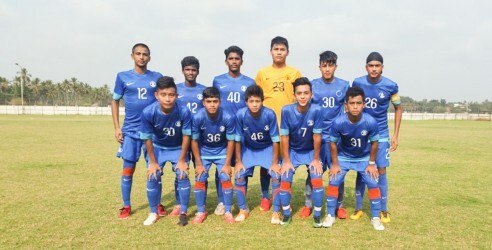 Mridul Banerjee was hired as interim coach but suffered an injury on the first day of training, forcing the club to put assistant coach Ranjan Chowdhury in temporary charge. East Bengal are in complete disarray right now, as they looked to be challenging for the I-League title at one point but are now struggling to win a single match. But The Red and Gold Brigader will want to give some joy to their devoted fans, as they still have it in them to compellingly defeat Minerva Punjab who are struggling to stay afloat from relegation. Chowdhury can definitely do good to his reputation by starting off his managerial term with a win. On the other hand, Minerva Punjab habe had quite the forgettable season and they failed to get anything out of the match against Mohun Bagan last Saturday and are loitering in 9th place right now. They are only separated from Mumbai FC because of goal difference, but with their relegation rivals playing at home this week, Punjab have to get something out of this game to gain a safe place. 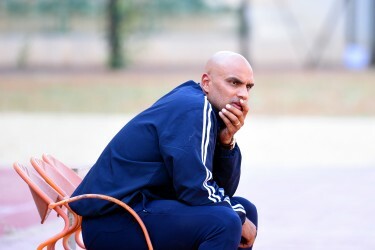 With East Bengal in a terrible mindset right now, Punjab can definitely rattle them and get some valuable points off them and coach Surinder Singh will get a hero's welcome if he can come back with all three points from this decisive game. Date & Venue: 23rd April/ Cooperage Ground, Mumbai. Mumbai FC are in desperate need of a win. 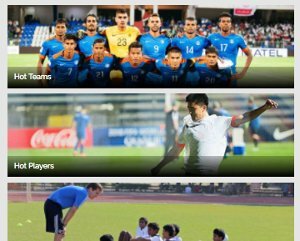 Mumbai FC have had a terrible season this year in the I-League, as they have shown no determination to play well and have suffered because of that. Oscar Bruzon's men are at the absolute bottom of the pit but can change things around for themselves as they play their last two games at home. Now defeating Shillong Lajong is not going to be easy, but Mumbai can cause an upset if they play really well and show the passion which has been lacking in their game this season. They can also leap over Minerva Punjab who are facing a daunting task away to East Bengal and a win can give their chances of being part of the I-League next season a huge boost. 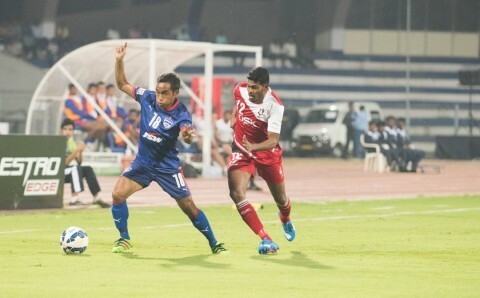 Shillong Lajong received a crushing defeat at the hands of Bengaluru FC last weekend, as they were completed dominated in their home ground. Despite being one of the most exciting attacking teams in the league, they failed to get past The Blues last week and will look to regain their reputation against the struggling Mumbai FC at the weekend. Shillong's attacking threat has mostly been due to their terrific striker Asier Dipanda Dicka who is currently on the top of the I-League goal-scoring charts with 10 goals. He'll look to ensure that the golden boot is his to take by plowing through the weak defense of Mumbai. Lajong are still in the race for a top three finish and will look to assert themselves as one of India's best clubs by finishing the season with a bang.